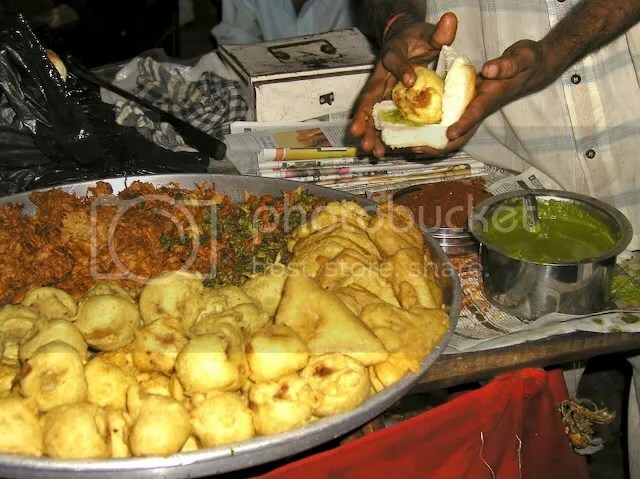 You are not a Mumbaikar if you haven’t tasted the street-side Vada Pav. Not the sterile globs you get in a restaurant. 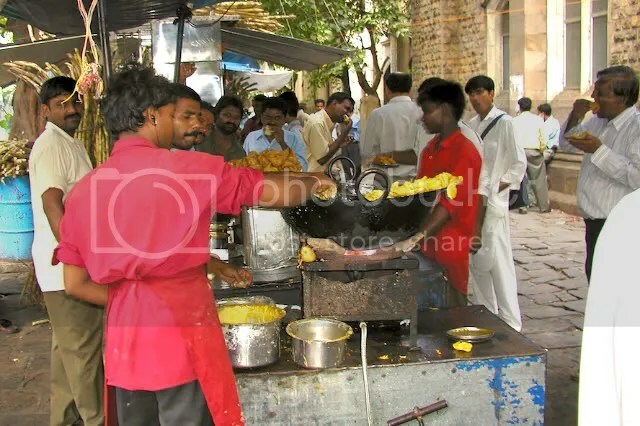 You gotta eat from the street stall. If you haven’t, may I ask you to kindly turn in your Mumbaikar card! 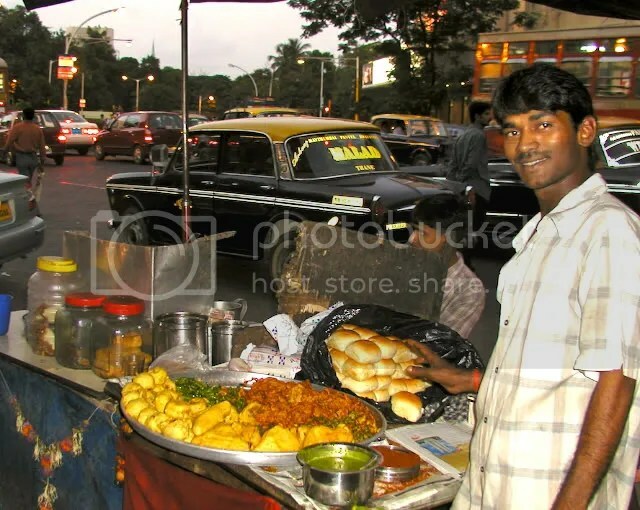 During college days, the vada pav wallah near Fountain (Hutatma Chowk) was the best and my source of daily nourishment. This one is right across from Regal Cinema on Colaba Causeway, next to the entrance of Sahakari Bhandar. Look at that dynamite red chutney and those roasted green chillies! You know you want them on your vada pav! *smacks lips* After a couple of these, I rush down the street for ganna juice to put out the fire in my mouth! ha hA! 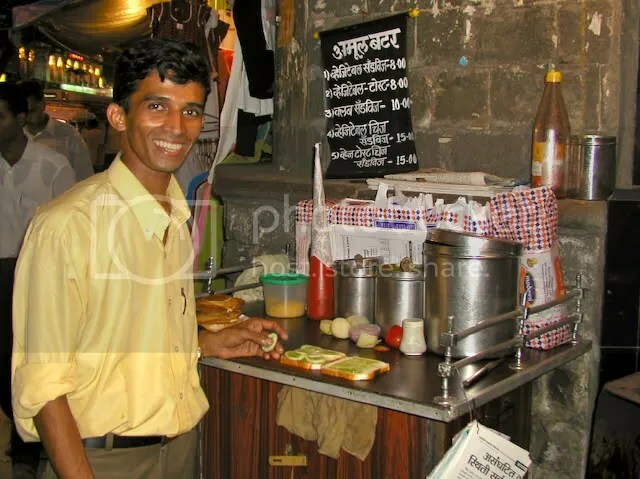 Remember the street-side sandwich wallah? However much I tried, I could never make sandwiches this tasty. What IS their secret ingredient? This guy was thrilled I wanted to take his pic. Wish they delivered. Aargh! 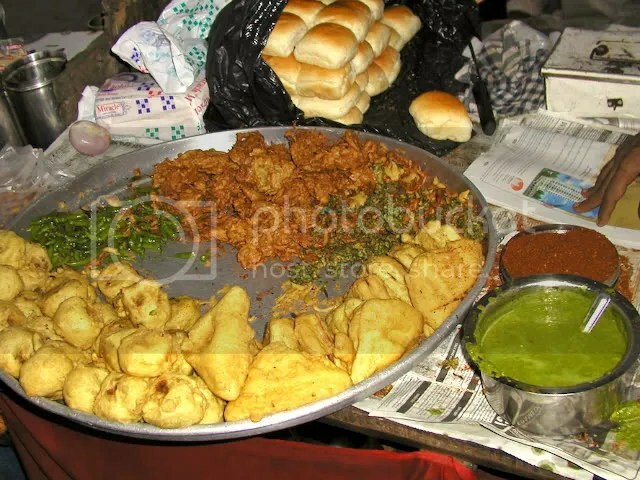 Since we are condemned to the eternal fires of bombay belly, how about some garam-a-garam bajjiyas? YES!